"15-hour staying power. Long lashes that last. Zero smudge. You'll love its extreme wear, extraordinary length and unstoppable power. Now the expertly separated, smudge-free lash look you see in the morning is the look you keep all day. The Smudge-Shield™* formula with innovative polymers locks in the mascara to keep it on lashes and off you. Resists high temperatures, high humidity and perspiration. Microfiber bristles go deep into lash bed to comb and detangle lashes for super separation from root to tip. Lashes channel through the brush's saturated core for a rich coating of pigment. Warm water and cleanser unlocks the formula and removes every last trace. (Eye makeup remover works too.)" "Lashes seem to multiply, magnify, grow to extremes. Sumptuous Extreme creates outrageous volume, lift and curves for an audacious, false-lash effect. Eyes look brighter, wider, more seductive. Extreme Bold Volume™ formula is a blend of three high-volume fibers in a mousse-light base. The formula acts almost like lash extensions, multiplying and growing the look of lashes. Fortified with conditioning Lash-Advancing Vitamin Complex. The Brush Comber Extreme™ has two types of bristles: flexible fibers to carry maximum formula; solid fibers to comb and separate for clump-free definition." For more details and customers reviews, please, visit the products' pages, using the links. In my article, I'll call them with their short names - Double Wear and Sumptuous Extreme. 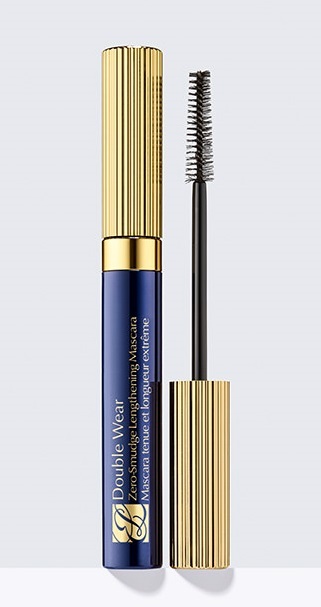 This mascara is one of the best possible, you can ever use. The opinion is mine and it's based on more than month of testing and comparing with many other brands and types of mascara. + very easy removing process - it's like the korean mascaras: you just use water and your fingers, You literally wash your eyelashes between your wet fingers, very gently. Once, the mascara gets wet and soft, it separates from the eyelashes and removes as small soft elastic particles. Even, if one of these particles goes on your eye, it doesn't cause irritation. Just, you will feel it's there. The mascara doesn't leave any black color or traces on your skin, during the washing out. - there are only two colors available - black and brown; black color is more likely to find. It would be great, to be available in blue and in brown, also. The product comes into very beautiful small and very elegant tube, designed in ESTEE LAUDER's colors -golden and dark blue. The cap is relief on lines and in golden color. The tube is in dark blue with golden letters and logo. The amount is 6 ml. For much more detailed description, provided by the company, you can visit the link, leading you to the product - DOUBLE WEAR. If you are not very skilled with using mascara, this one is not for you. Why I say that? Even with my experience of wearing mascara with different brush shapes and materials, this one is really very hard to operate. It needs time and patience to adjust to each other, to build real partnership. This product comes in two shades - Extreme brown and Extreme Black. The tube is bigger, than the most of the mascaras, but very beautiful and lovely to have and use it! Also, beautifully decorated! The amount is 8 ml. 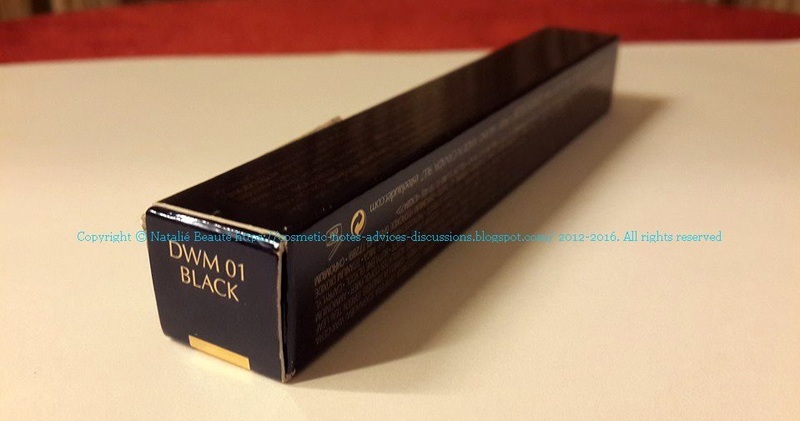 For much more detailed description, provided by the company, you can visit the link, leading you to the product - SUMPTUOUS EXTREME Lash Multiplying Volume Mascara. The opinions, which I shared here, are my own and are based on using full sized original products. It's only my opinion and it may or may not find resemblance with your own experience, about these products. Finally - how one mascara works for you, depends entirely on your own skills in working with its brush+the quality of the mascara and the specifics of your own eyelashes. 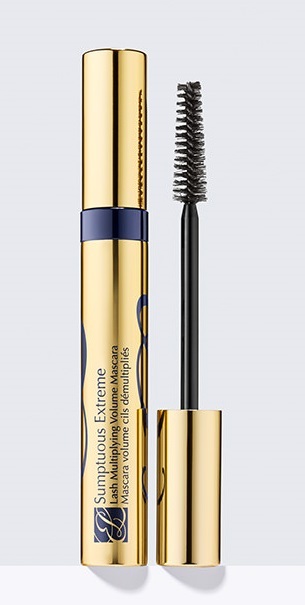 Despite the amount of "-", which I gave to SUMPTUOUS EXTREME, I must say, that this mascara also has its own advantages and good qualities, during precise work with it. Personally for me, I prefer DOUBLE WEAR ZERO-SMUDGE - it's much easier to use, it gives astonishing effect, thickness, gives to the eyes better expression, very comfortable delicate brush, good pigmentation. I RECOMMEND DOUBLE WEAR ZERO-SMUDGE!